Past Champion Alex Glennie, Barassie, was beaten in the semi final this morning by Lorna Ronnie, also Barassie (6&5). Lorna, past champion at Strathven and former Lanarkshire team player moved to Ayrshire 5 years ago and recently joined Ayrshire Ladies. Lorna was also a past West of Scotland girls champion (1986) and played for Stirling University team. 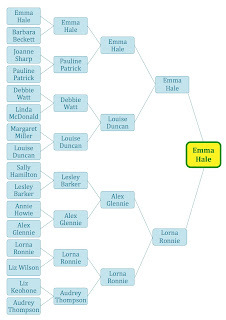 In the final she will play top qualifier Emma Hale, Troon Ladies, who beat Louise Duncan, West Kilbride (2&1). It was a closely fought match with both girls making birdies. 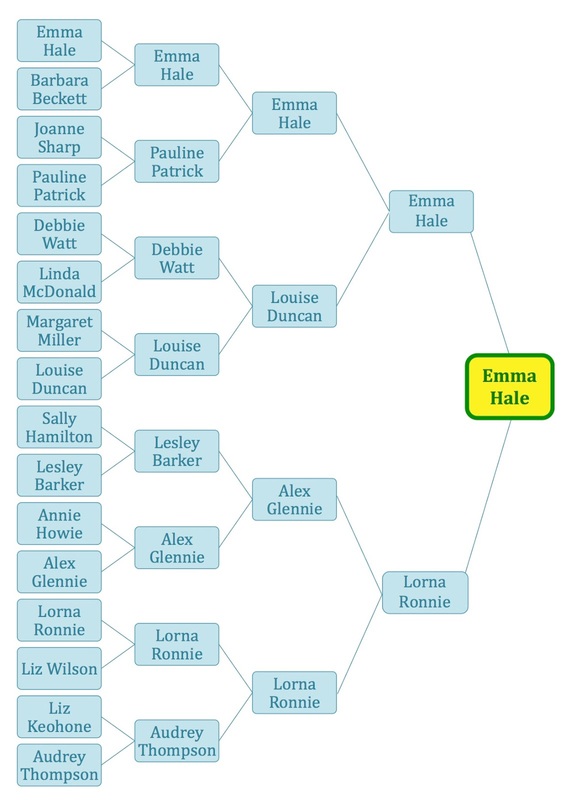 Emma went one up at the 13th followed by halves on 14th, 15th and 16th, before winning the 17th. In the final, Lorna did not quite reproduce her morning form, but remained in contention well into the latter stages of the match. With Emma two holes up, the pivotal hole proved to be the thirteenth where it looked like Lorna would have a chance to reduce the deficit to one after Emma found the famous fairway bunker, ' Willie Campbell's Grave', that lies between the thirteenth and sixteenth, from the tee. Despite this setback however, Emma secured a remarkable par five and with Lorna unable to match her, Emma won the hole to go three up with five to play. An excellent approach to four feet set up a winning birdie three at the fourteenth saw Emma go dormie four and whilst both players hit their approach shots to within fifteen feet on the difficult fifteenth green, Lorna's putt just failed to drop whilst Emma slotted home her effort to win the hole with a second successive birdie three, and more importantly take her first Ayrshire Ladies County Golf Association Championship title with a 5 & 3 victory. At the conclusion of play Prestwick Golf Club Captain Dr. Paul Stevens, who acted as referee for the final, presented prizes to both finalists and other successful players during the week, before handing the trophy over to the 2016 champion, Emma Hale.